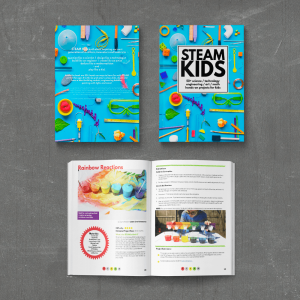 Are you looking for a new craft project that ALL of your kids can enjoy doing together? Gather your left over bubble wrap, grab some googly eyes and set them the task of creating their own Bubble Wrap Jellyfish craft. 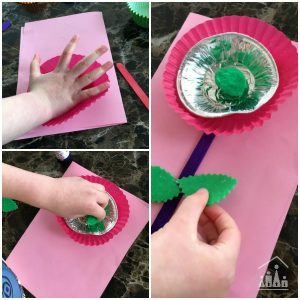 I like to encourage my three children to get involved in choosing the arts and crafts activities that we do together at home. 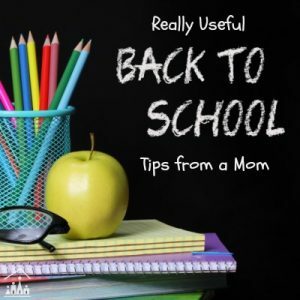 This is great for their confidence and they often come up with much better ideas than I can. So when my preschooler asked if we could make some Jellyfish art, we set to work gathering arts and crafts supplies from our making box. We then started chatting about the different ways we could create our Jellyfish craft. We had a big sheet of bubble wrap in our making box and decided that this would be great to use for the Jellyfishes clear body. Freddie then suggested pipe-cleaners for their wiggly tentacles. And of course we had to use our favourite googly eyes to finish off our Jellyfish picture. This post contains affiliate links for your convenience and at not extra cost to you. We started off the activity by diluting some blue paint with a little bit of water and giving it a good mix together. 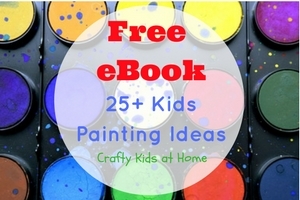 I then gave each of my children a paintbrush and a sheet of white paper. They then brushed the watery paint over the whole sheet to create the sea. They then used green paint to add some seaweed to the picture. The boys took great care with their painting. But Bella did get a little distracted and nowhere near covered her paper. She is only just 2 though, so it was a great effort for her age and concentration levels. 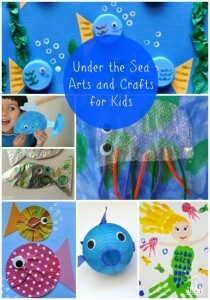 Follow Crafty Kids at Home’s board Under the Sea Arts and Crafts Ideas on Pinterest. Whilst the paint dried we set to work on the Jellyfish. I cut out 3 semi circle shapes for the bodies from the sheet of bubble wrap. Then gave one to each of my children. Bubble wrap is quite hard to cut, so this job wouldn’t have been suitable for my children aged 2, 4 and 6. The kids then added googly eyes and I helped them to tape on pipe cleaner pieces for the tentacles. Once the paint was dry, each of my children spread glue over the bottom of the picture and sprinkled glitter over this to create the sandy sea bed. I don’t get glitter out too often, as it can result in trouble when it’s mixed with a toddler. It was worth it though in this instance. It really helped to finish off the picture and Bella didn’t cause too much mayhem with it this time! 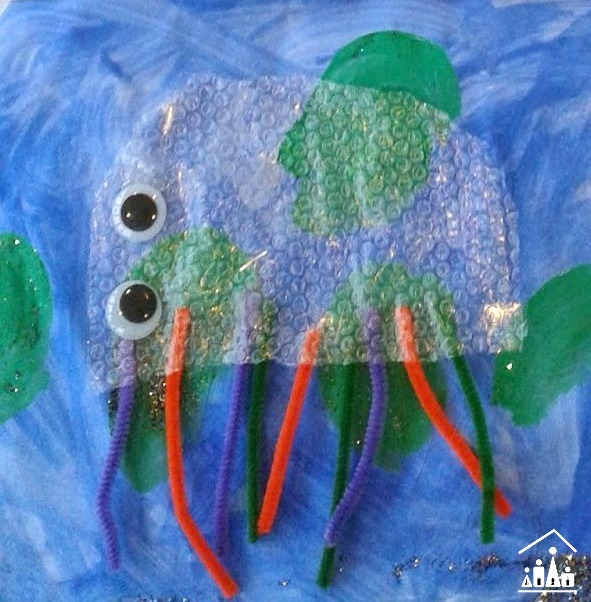 Our Bubble Wrap Jellyfish is the perfect activity for a Preschool Jellyfish theme. Available as an E-BOOK or PRINT VERSION. Thanks! 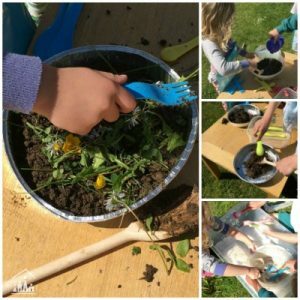 We had great fun doing them! Really appreciate the feedback thank you. You cant beat glitter can you? My kids love it as well! Thanks Denise. I ve had the bubbke wrap for ages so it was great to finally find a good use for it. We re going to have a go at bubble wrap painting soon as well! Thanks, no problem. I m getting such lovely feedback on our jellyfish, we might have to carry on with the underwater theme next week. I LOVE these! 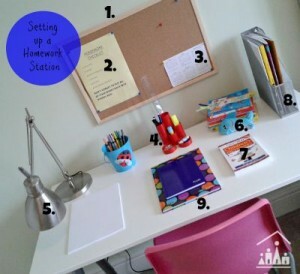 What a fab idea! What a cute craft! Love the bubble wrap. I was the same with mine I m just lucky they all love it as much as me! 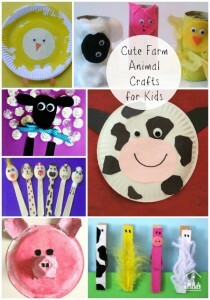 Maybe I need to plan a post of "First Crafts" for young toddlers? I m sure it will! 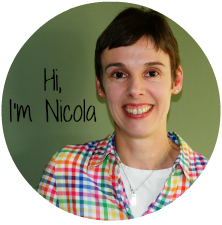 Grace says – Beautiful and such a great idea. Lucas says – Loving it although I probably would've popped all the bubbles before it got on the picture!!! Haha we did pop a few on some spare pieces! Ohhhh we ve not tried painting bubble wrap before but it would be great for making pattens on things! Really clever idea. I'm always looking for new things to try with Potato. I think he'd like this!